Surrounded by beautiful hills our area is perfectly placed between Klong Dao and Long Beach, two of the most popular beaches on Koh Lanta. Our location provides proximity to most popular places on Koh Lanta, such as the Swedish schools, restaurants, beaches, clubs and more. All these places are just a short ride away with our carry car that we provide free of charge for all of our residents and owners. For an area this secluded with lots of privacy it’s very rare to be this close to basically anywhere you want to go. Centrally located with enough distance from the bustle and crowded areas lies this highly elevated area with breathtaking views of the ocean, mountains, various islands and Koh Lanta’s beautiful beaches. The soothing mountain breeze along with the liberating feeling of Highlands is hard to find anywhere else, it’s truly one of a kind. Our apartments and their interior are thoroughly planned and built to meet the western standard. We try and create the feeling of true comfort and functuality while still being very pleasing to the eyes. We are prepared to meet the needs of both our owners and holiday guests. 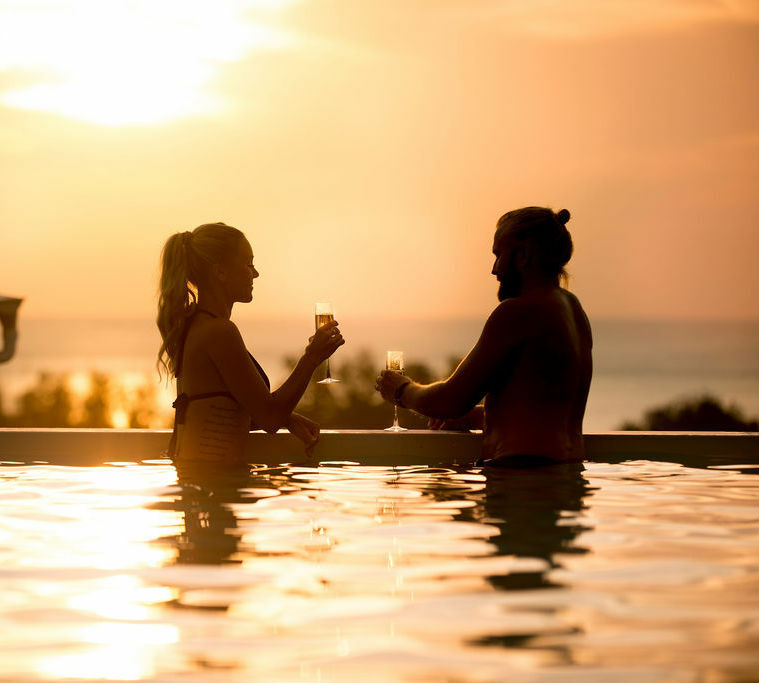 It is now possible for more and more people to do their jobs and studies in paradise, that’s why we provide the best internet connection Koh Lanta has to offer. Enjoy delicious food at the Highlands-Bistro and a swim in the infinity-pool with an incredible view over the whole island. The facillities can be enjoyed by owners and tenants in the area as well as by outside visitors throughout the day. In the evening the Bistro transforms into a Fine Dining Restaurant with a calming atmosphere and food that’s to die for. It should be easy to be an owner! No one should have to spend most of their vacation trying to get all of the various things you need in an apartment. This is not as easy and more time consuming than you might think. All our units are fully furnished so that you can enjoy your vacation or long-stay in peace and quiet.